A train refurbishment firm has been fined after workers were exposed to hand-arm vibration syndrome (HAVS) from 2005 to 2015. HAVS is transmitted into workers’ hands and arms by using vibrating hand held power tools and hand guided equipment. Nearly two million people in the UK are said to be at risk of developing HAVS. 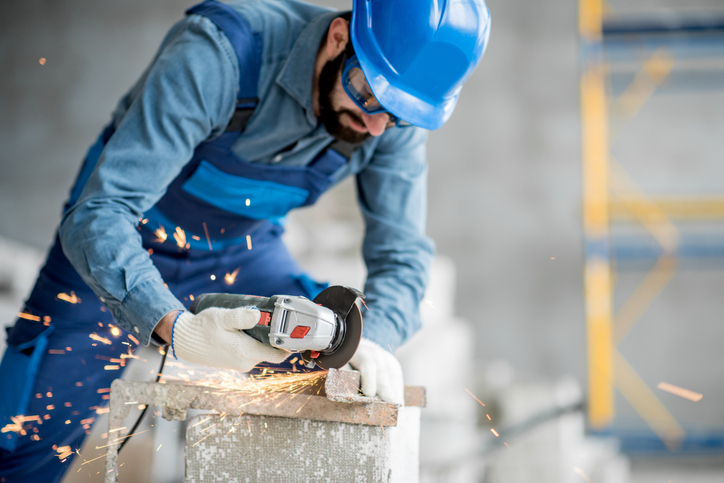 Regular and frequent exposure to hand-arm vibration can cause painful long-term injury to blood vessels, nerves and joints. The train refurbishment workers had used a number of vibrating tools including sanders and air-fed cutting equipment. The court heard their vibration exposure was uncontrolled and unrestrained. In 2015, one employee complained of HAVS like symptoms after using an air-fed cutting tool to remove rubber seals from train doors. Despite this, the company failed to promptly manage the risk of HAVS exposure. Another worker later reported using grinders for up to eight hours a day – often until his hands hurt. No health surveillance in place. Faiveley Transport Tamworth Ltd pleaded guilty to breaking the Health & Safety at Work etc Act 1974. It was fined £90,000 and ordered to pay costs of £45,000. The HSE said the company completely failed to grasp the importance of HAVS health surveillance. It commented “If the company had understood why health surveillance was necessary, it would not only have ensured that it had the right systems in place to monitor workers’ health but would have identified from the outset that one of their employees has primary Raynaud’s phenomenon and should not have been made to work with vibrating tools because of his likely heightened susceptibility”. By law, workers must be protected from hand-arm vibration. Under the Control of Vibration at Work Regulations 2005, employers must limit and ultimately remove the risks of vibration by making sure exposure is as low as ‘reasonably practicable’. Regularly and frequently your employees work with vibrating tools and equipment and/or handle vibrating materials. Long workers are exposed to vibration and at what level. You must also bear in mind different jobs emit different levels of vibration – cutting brick creates a different level to cutting wood. Do employees complain of tingling and numbness in hands or fingers after using vibrating tools? Do workers hold work pieces that vibrate while being processed by powered machinery such as pedestal grinders? Do employees regularly use hand held or hand guided power tools and machines? Do employees regularly operate hammer action tools for more than 15 minutes per day and/or rotary and other action tools for more than one hour per day? Tingling and numbness in the fingers. Not being able to feel things properly. Fingers going white and becoming red and painful on recovery. Control measures to reduce vibration are properly applied. Information, training and health surveillance is provided. Workers are given the right equipment. Vibration levels are appropriately monitored. Make sure regular workplace risk assessments are carried out – especially if anything changes that may affect exposure to vibration. Assessments help ensure changes are productive and that hand tools/machines are safe to use. The most effective way of controlling exposure to hand-arm vibration is to look for new or alternative work methods that remove or reduce exposure to vibration.